Notes: This rum was one of the firsts by Don Francisco Fernandez after he left Cuba after being the Master Distiller and Blender of Havana Club rum for almost 40 years. One of the few people in the world to be accorded the title Maestro Ronero and an industry legend, this was one of his first products in Panama. This is a seven year old rum that had a production run of about 6,000 bottles and was sold through a market chain in Spain in the mid 1980’s. At the time no one recognized what a treasure it was to become and very few bottles survive to this day. Appearance: Clear amber like appearance with just a suggestion of a haze,On swirling it forms a nice oily coat on the glass that rapidly becomes droplets. First Impression: Lovely delicate aromas of cane grassiness and some minerality, with the smell of cane juice , light floral and vanilla notes and of caramel and sugar molasses. Touches of leather, saddle soap and dark sugar. Interesting how complex and subtle a few scents can add up to such a complex yet harmonious bouquet. Taste: Extremely smooth and subtle with notes of sugar can we juice, molasses and raw cane with subtle touches of oak char, tobacco notes and leather. Nice minerality and stoniness mixed with the sugar cane. Some dark fruity notes like Calamyrna figs, cinnamon,vanilla,caramel and subtle hints of allspice. Ends with a slightly alkaline bitter note that gives a nice upward lift to the end of the rum rather than the more common stickiness that many rums suffer from. Excellent balance and finish to an exceptionally smooth understated rum. Bottle: Fairly simple dark glass bottle similar to a resiling bottle with a cylindrical bottom going to a longish tapering neck. 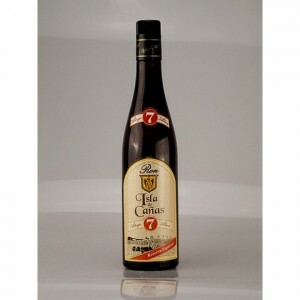 Very similar to a Havana Club Anejo bottle with a plastic ribbed black cap and anti fill device in the neck. Other: A very subtle but masterful expression of a lost rum style from a long time ago. Final Thoughts: History in a bottle. One is humbled by drinking it and transported to an earlier time.